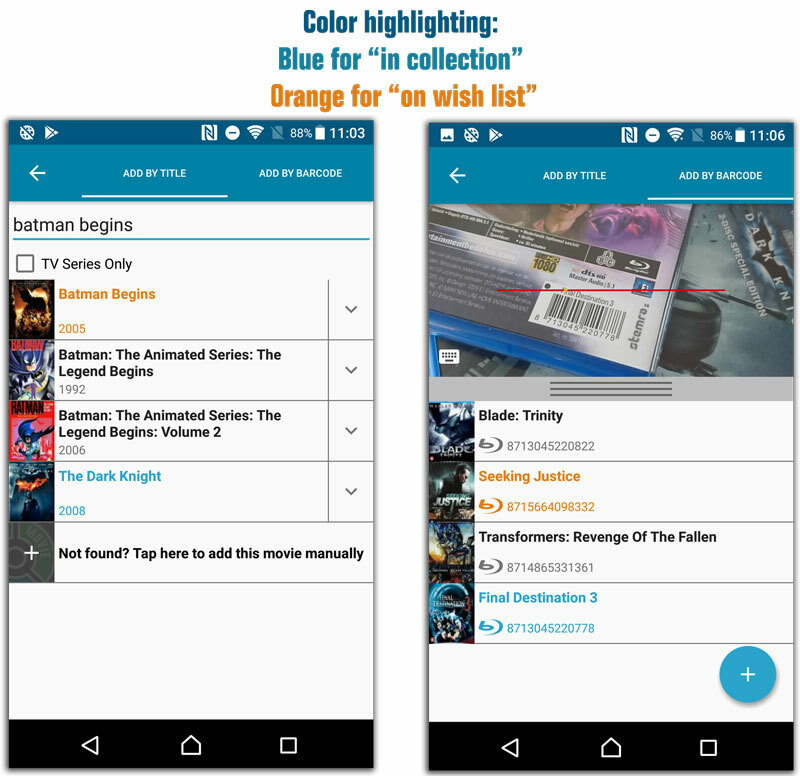 Color high-lighting: Movies already ‘on wish list’ now have an orange title, movies already “in collection” show up with a blue title. Slightly smaller font for the movie title, so that longer titles fit better. 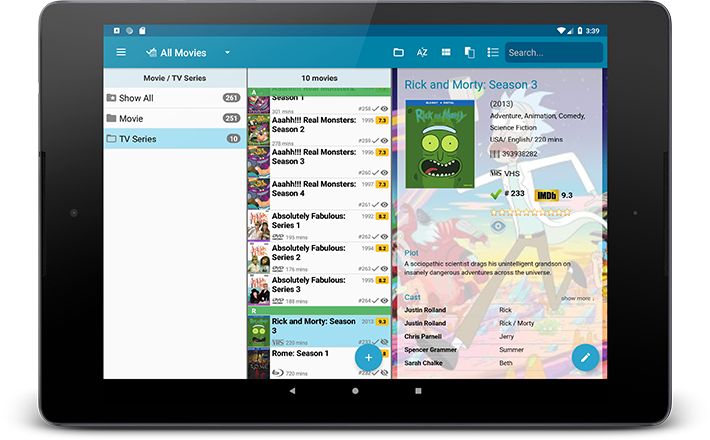 Search as you type now respects tv-series only/adult filters. After restarting the app it would sometimes repeatedly scroll to the last added movie. 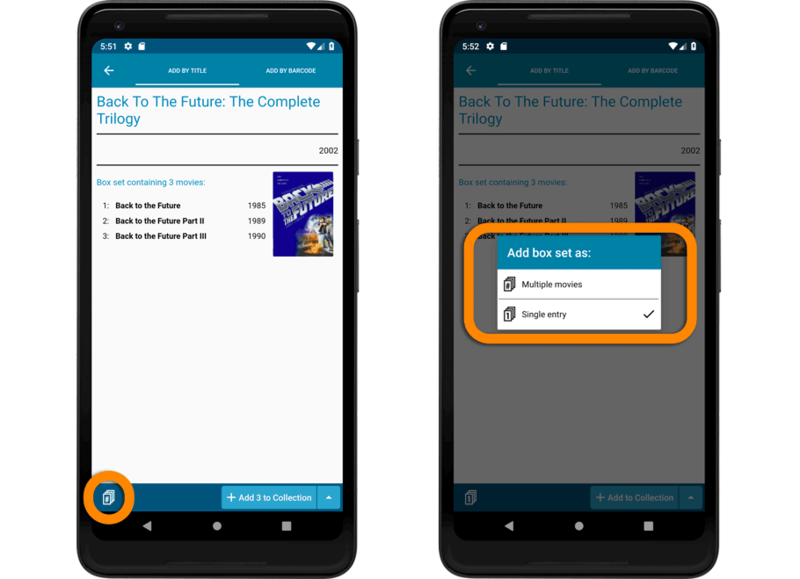 When adding a movie that is already on your wish list, the app now lets you change its’ status to “In Collection”. 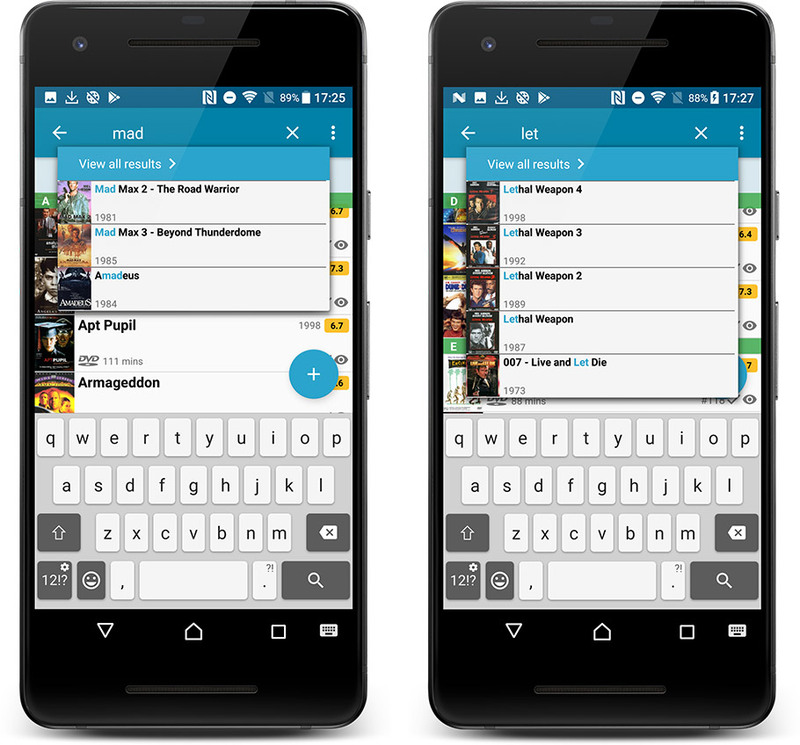 “Search-As-You-Type” suggestions when adding movies by title. While enter a title to search for, a drop-down list will appear, showing the five most popular titles that match. 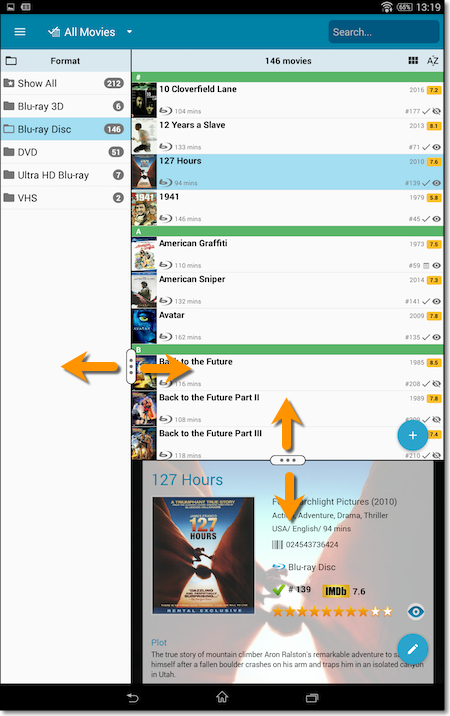 If you see the movie you were looking for, just tap to select it. 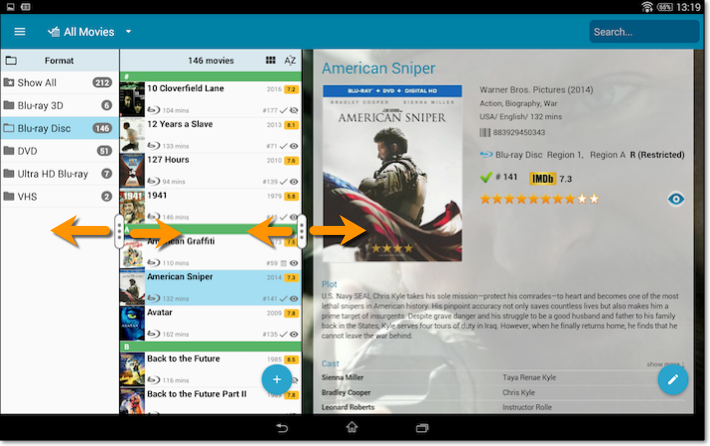 A huge v4.3 update for your CLZ Movies app is now available. 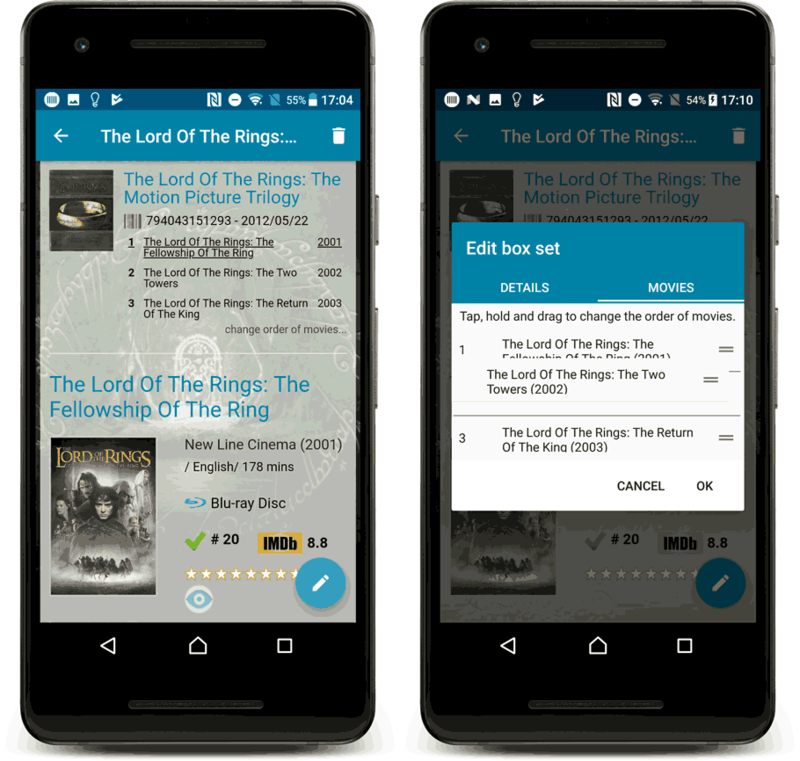 What’s new in CLZ Movies 4.3 for Android? 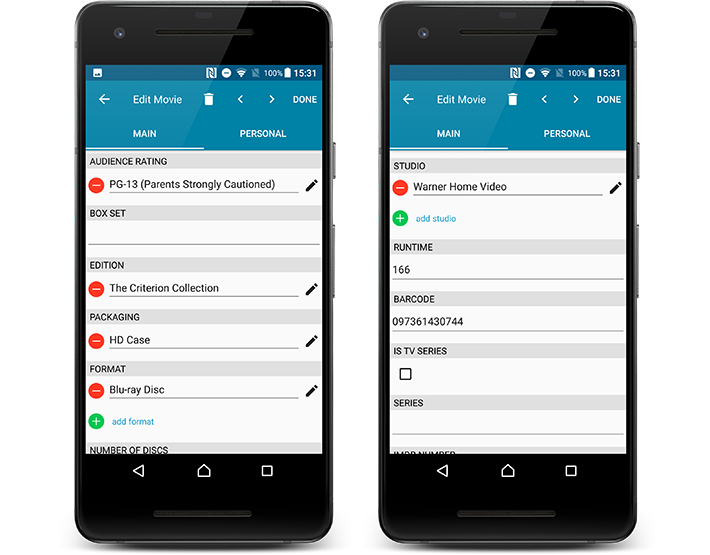 New”Material”-based interface, with two skins/themes: Light & Dark. Old Import from Movie Collector has been moved to Settings screen! 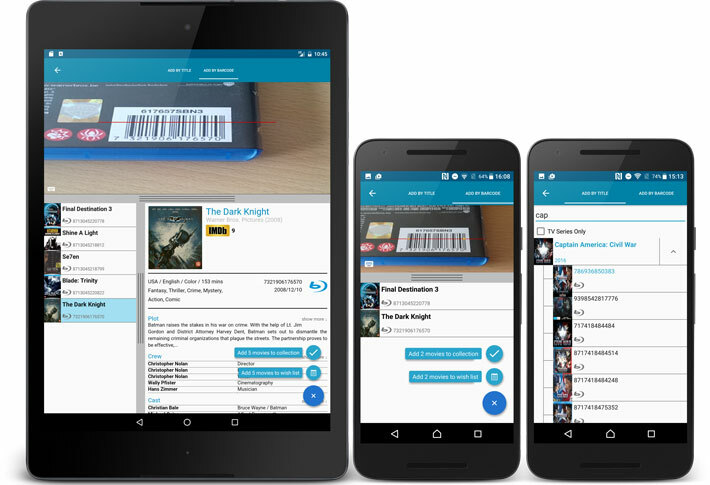 Now a free app, with a database limit of 100 movies. 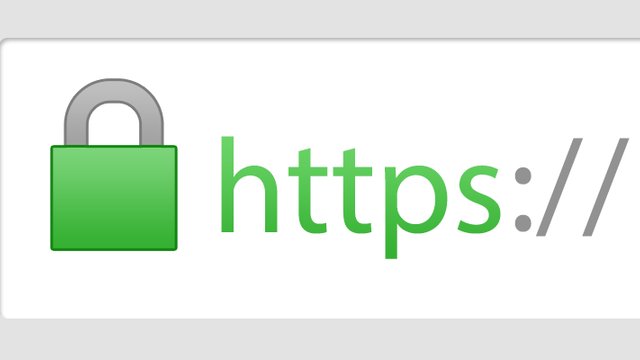 Increase your database limit using In App Purchases. 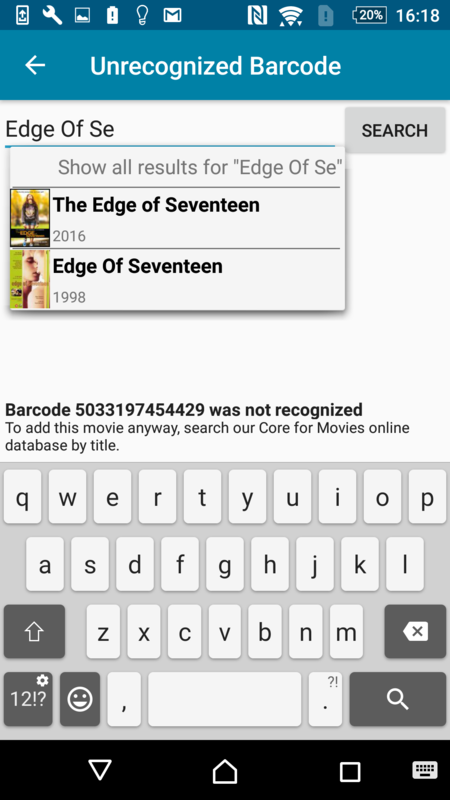 IMDB Rating now shown in movie lists. 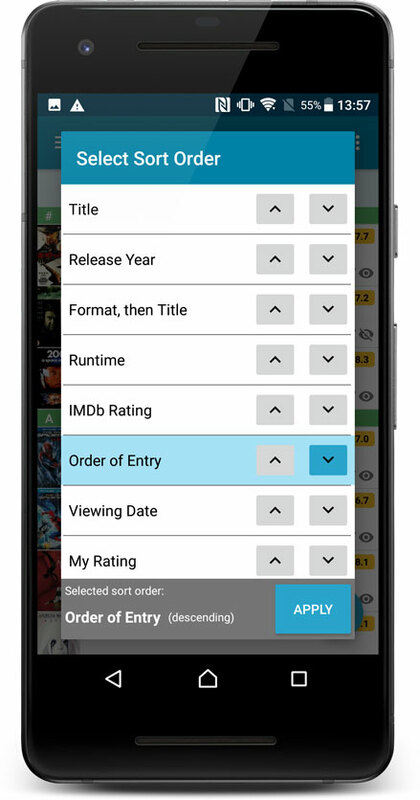 Sort your list by IMDb Rating. 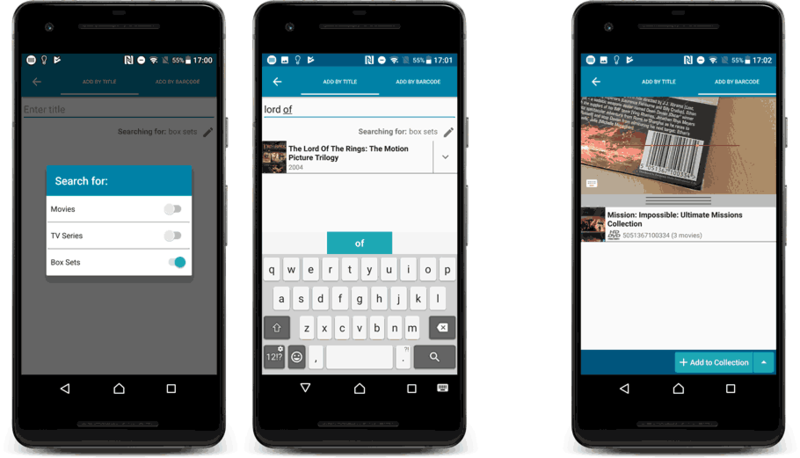 Re-designed search results, including cover images. Now add directly from results using quick add buttons.